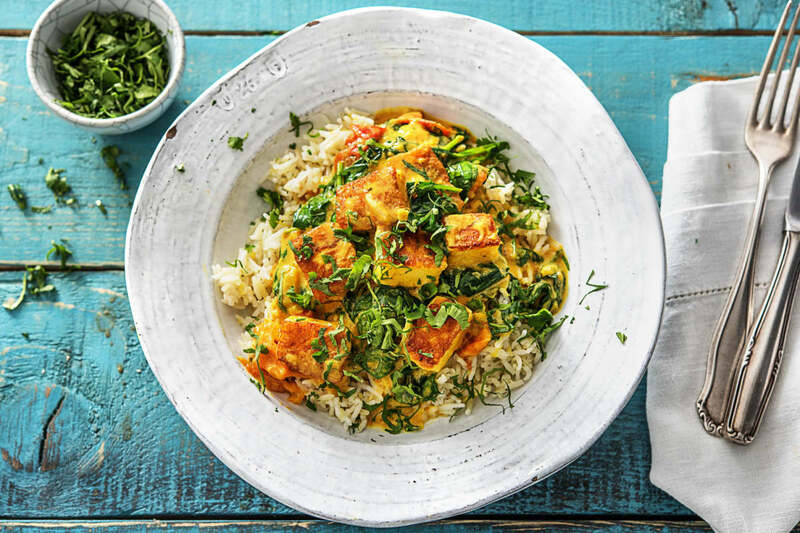 Tonight, we're bringing you our healthy version of the traditional 'saag paneer' curry which pairs delicious Indian cheese (paneer) with spinach and spices. 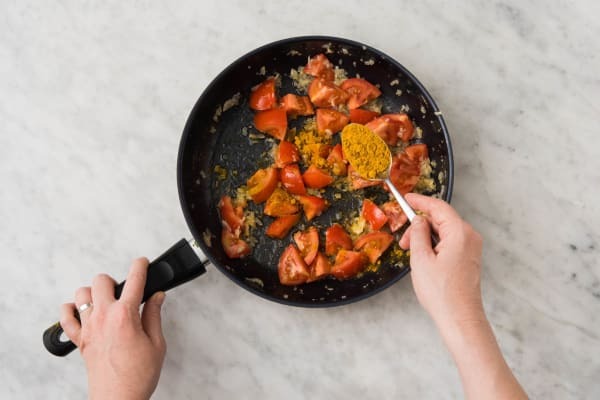 We're opting for the lighter olive oil instead of the traditional ghee (clarified butter) for a guilt-free dinner! 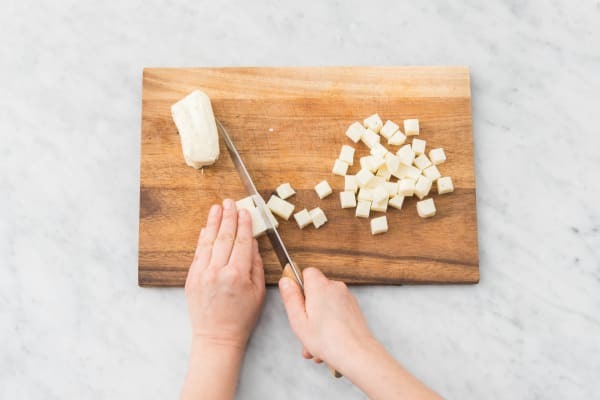 If you don't have a garlic press, lay the garlic clove on a chopping board. Place a chef’s knife flat on top of the garlic clove and press down firmly to crush. Finely chop the garlic. Wash and dry all produce. * Peel, then mince or grate garlic. Peel, then finely grate 1 tbsp ginger (dbl for 4 ppl). Peel, then finely chop shallots into 1/4-inch pieces. Cut tomatoes into 1/2-inch pieces. Roughly chop cilantro. Zest, then cut lemon into wedges. 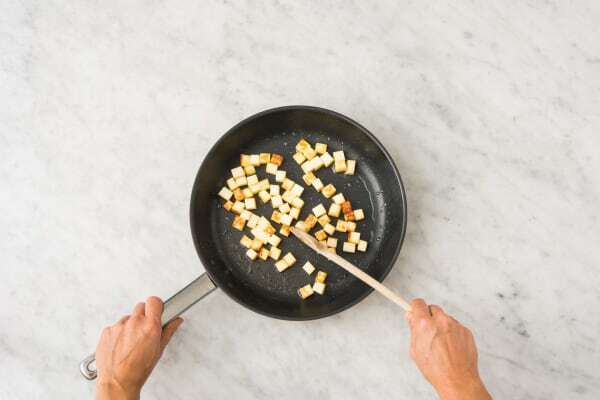 Cut paneer into 1/2-inch pieces. Heat a medium pot over medium heat. When the pot is hot, add 1/2 tbsp oil (dbl for 4 ppl), then half the cilantro, half the garlic and half the ginger. Cook until fragrant, 1 min. Add rice. Cook, stirring often, until toasted, 2-3 min. Add 1 1/4 cups water (dbl for 4 ppl) and bring to a boil over high heat. Once boiling, reduce heat to low. Cover and cook, until rice is tender and liquid is absorbed, 12-14 min. Meanwhile, heat a large non-stick pan over medium-high heat. When pan is hot, add 1 tbsp butter (dbl for 4 ppl) and swirl, until melted, 1 min. Add paneer and season with salt and pepper. Pan-fry, turning cubes occasionally, until crispy and golden-brown all over, 5-6 min. 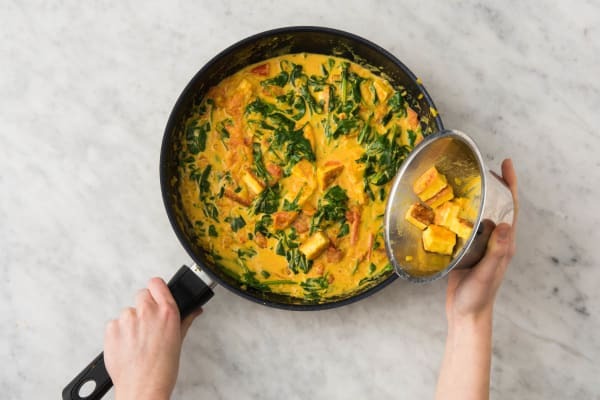 (TIP: Don't overcrowd pan; cook paneer in two batches for 4 ppl, using 1 tbsp butter for each batch!) Transfer to a plate and set aside. Reduce heat for the large pan to medium. Add another 1 tbsp butter (dbl for 4 ppl). Swirl, until melted, 1 min. Add shallots and tomatoes. Cook, stirring occasionally, until tomatoes soften, 4-5 min. Add dal spice, remaining garlic and remaining ginger. Season with salt. Cook, stirring often, until fragrant, 1-2 min. 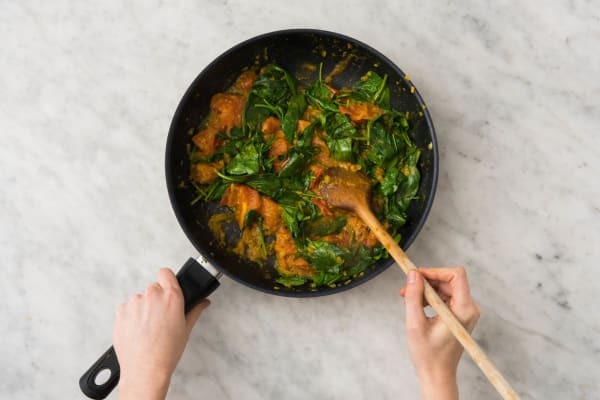 To the same large pan, add spinach and 2 tbsp water (dbl for 4 ppl). Cook, stirring often, until spinach wilts and mixture comes together, 2-3 min. (NOTE: Add spinach in batches for 4 ppl.) Remove the pan from the heat and stir in sour cream. Season with salt. 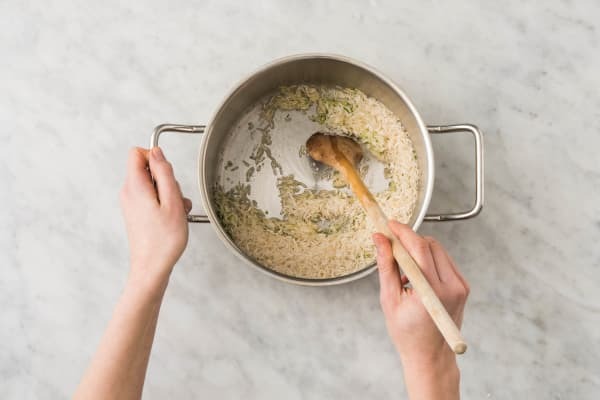 In the medium pot, fluff rice with a fork, then stir in lemon zest and season with salt. To the same large pan, add crispy paneer and stir to coat. Divide rice between plates and top with spinach-paneer mixture. Sprinkle over remaining cilantro. Squeeze over lemon wedge, if desired.